Southern Theatre and the Show-Me Celebration will present “Another Mother Goose Mystery: Old King Cole’s Missing His Bowl” at 2:30 p.m. Saturday, Dec. 3, and Sunday, Dec. 4, in Missouri Southern State University’s Taylor Performing Arts Center. 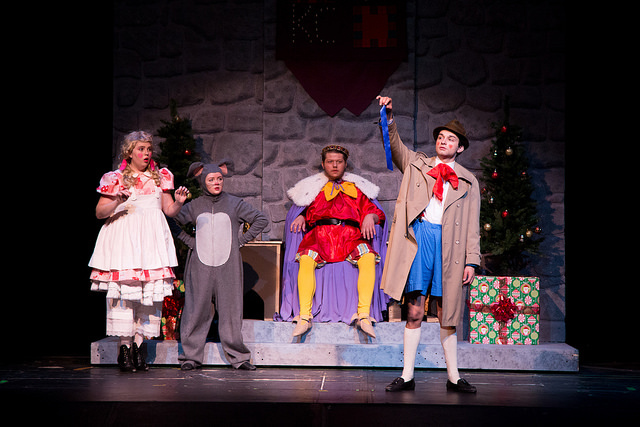 Written and directed by Lyndall Burrow, the Theater Department’s assistant technical director, the play follows Old King Cole as he searches Mother Goose Land for his missing bowl of Christmas candy. The fun-filled adventure features a variety of characters from Mother Goose nursery rhymes. Tickets are $3 for adults and $1 for children 12 and under.